This has been classified as the worst natural disaster to ever occur in Sierra Leone. Correspondents from BCC have even said this is worst than civil war and the ebola outbreak. On August 14th 2017, Sierra Leone was met with another disaster. 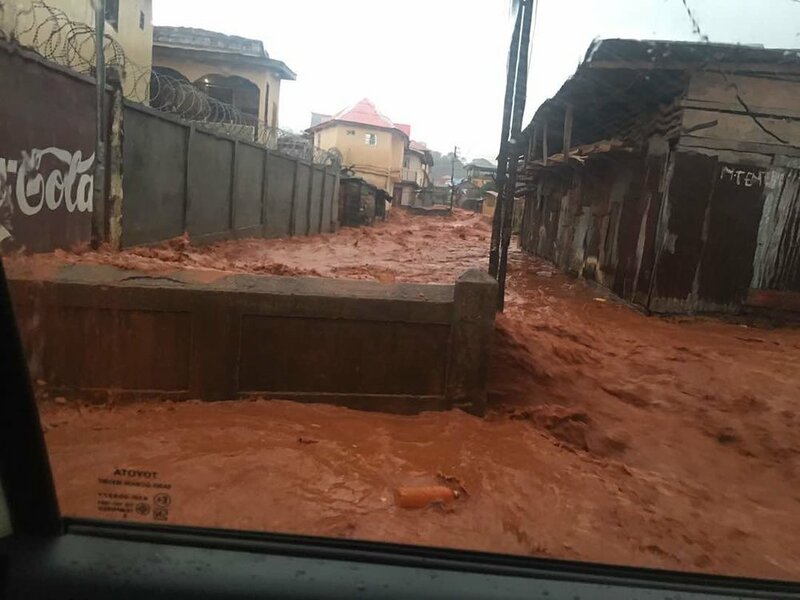 As a result of the heavy down pour of rain, a landslide has taken place at the Motumeh community , Imaat , back of Guma gate and has left more than 100 houses covered and approximately 600 dead. and hundreds more unaccounted for. Over 499 people have been confirmed dead so far, and many more unidentified. On Thursday August 17th Sierra Leone held a mass burial for the bodies recovered after the flood. Mortuary attendants are still requesting the identification of corpses recovered presently at the mortuary. BBC news report "At least 300 people have been killed in a mudslide near Sierra Leone's capital, Freetown, the Red Cross says. Many more unaccounted for. The cause of the disaster was as a result of a hillside in the Regent area collapsed early on Monday following heavy rains, leaving many houses covered in mud. A BBC reporter at the scene says many people may have been asleep when the mudslide occurred. Sierra Leone's Vice-President Victor Bockarie Foh said it was "likely that hundreds are lying dead". The total number of casualties is likely to rise. Mr Foh told Reuters news agency that the disaster was "so serious that I myself feel broken". He said that the area was being cordoned off as people were being evacuated, including many still feared trapped in their homes. A spokesman for the Red Cross, Abu Bakarr Tarawallie, told the same news agency that 179 bodies had been taken to the central morgue in Freetown." CPCSSL was able to raise over $1700 in 24 hours, and $2500 in 48 hours after the disaster. Right now CPCSSL volunteers are on the ground surveying and reporting the impact of the flood. As we move forward we ask that you kindly spread the word and kindly consider donating to our organization. Thank you to those who are donating and reposting on their social media sites. the first step to bettering lives is always awareness, the second is donation. Thank you from all of us here at CPCSSL.